Zorb – Its 12 feet high, 12 feet fat, it’s round and bouncy. You can jump inside and roll down a 700 foot long hill in a Zorb just along the Smoky Mountains. Zorb in Pigeon Forge, Tennessee is a TOTALLY cool and fun way to get a serious adrenaline rush!! Choose one of 4 track options and 8 ride variations! Hop in with a few of your friends to jet down the straight fast track or slip and slide though the Hydro Zorb that some describe as a cross between a water fall and a roller coaster. For the true adrenaline junkie there is the Harnessed Zorb that pushes you through maximum G-force as you rotate head over heels. This rafting center is located on Pitman Center Road. I have found that it is sometimes easier to get around Pigeon Forge by this road. It is much less congested and parallels the Pigeon Forge Parkway (it is about 6 miles off the Parkway) and turns into Birds Creek Road at Upper Middle Creek Road. Birds Creek Road will take you into Gatlinburg. Each trip takes approximately two hours, depending on river conditions. there is a shuttle to take you back from your trip. Afterwards you can enjoy a picnic on the grounds, fish or take another ride down the river at NO ADDITIONAL charge. You can ride all day! 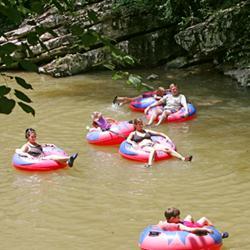 The River Romp is a family owned attraction in its 20th year in the water recreation field. they are located on the Little Pigeon River, less than five miles from Dollywood’s Splash Country, yet it offers the scenery and peacefulness of a secluded mountain river. Your tubing experience begins at the “Barn” and goes approximately 2.5 miles where you exit to a Pavilion with a phone that is “hot-lined” to the office. Once you identify yourself, they will dispatch a driver, who will pick you up within minutes and return you to the “Barn,” where you can get back in the River, picnic, leave and return (prior to 4:00 p.m.) and take another ride. I am an everyday exerciser, but I am afraid to go for an early morning jog with all the bears around. I may be paranoid, but I feel better exercising indoors. This is a center where you can go to exercise while staying in Pigeon Forge. 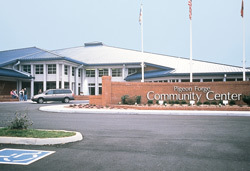 Experience everything the Pigeon Forge Community Center has to offer! This 86,000-square foot facility has it all, including basketball courts, jogging circuits, a walking track, aerobic rooms and a 10-lane bowling center. The community center also includes the Aquatic Center, which features an indoor and outdoor pool. This facility is open to both visitors and residents. 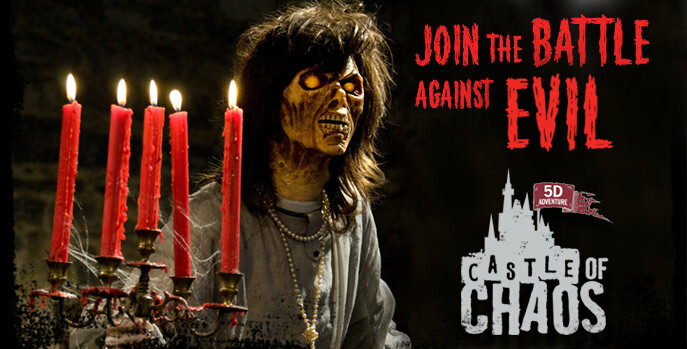 Daily, weekly or monthly passes are available for purchase. Visit the Elvis Museum in Pigeon Forge, TN to view the largest private collection of memorabilia, including the King’s last limousine and his world famous $250,000.00 ring. The ring and the Elvis Presley Museum TCB Theatre takes their names from the Elvis motto, “Taking Care of Business”. 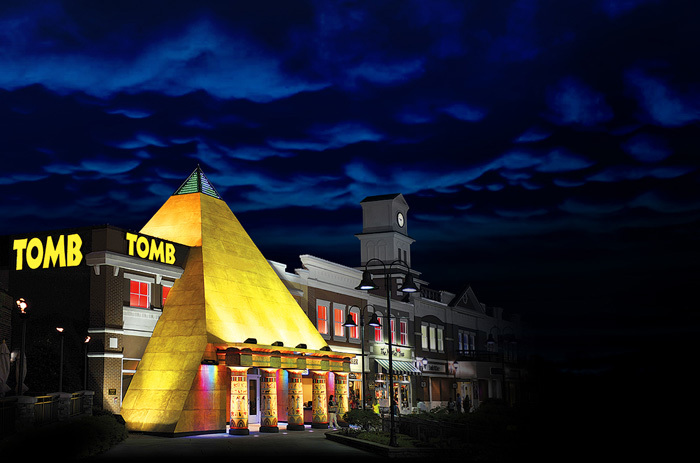 Peruse an impressive celebration of the King’s legacy through autographed memories before making your way to the TCB Theatre, your mecca for 5 star entertainment. 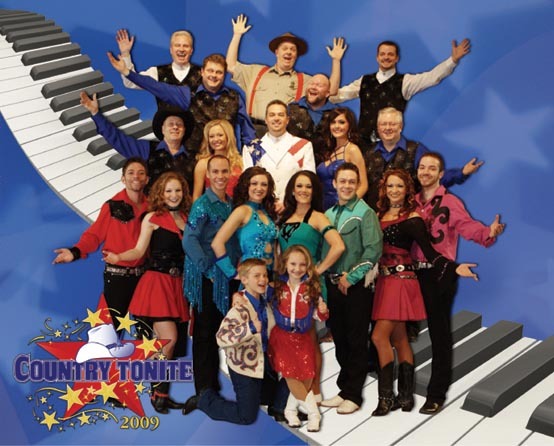 The TCB Theatre is now showing the Souths #1 interactive Whodunnit nightly at 8:00 p.m. as well as concerts, celebrity appearances,tributes and star studded events. 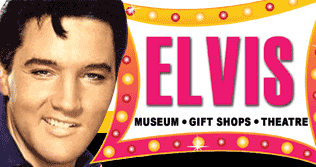 At the Elvis Presley Museum Gift Shop there are a variety of collectibles, apparel, books, CDs, DVDs and everything Elvis. The Elvis Museum houses over 15,000 square feet of all Elvis. The Elvis museum has been closed. Sorry you missed it.